The Jewish community in India is a small group accredited to bring with them a new and the oldest foreign faith to the country. Judaism in India is still an active religion, adding on to the religious diversity of the country. There are three distinct groups, namely Bene Israel, Malabar Black Jewish community and the Iraqi White Jews. This program brings to the visitor the richly cherished and celebrated Jewish history of the country including a visit to the sacred synagogues and other exclusive heritage Indian sites. Upon arrival in Mumbai, meet Incredible India tour representative for assisted transfers to the hotel. Later optional visit to the Kenesseth Eliahoo Synagogue (also known as Fort Jewish Synagogue), established in 1884 by Mr. Jacob Sasson in memory of his father. Overnight stay at Hotel. Morning leave for Mumbai city tour including a visit to Gateway of India, Marine Drive, Victoria Terminus (Shivaji Terminus), Flora Fountain, Crawford Market, Nehru Planetarium, Kamala Nehru Park, Hanging Gardens, Chowpatty Beach etc. Later visit Gate of Mercy Synagogue or Juni Masjid established 1796. The street on which the Synagogue stands was named Samaji Street in His Honor and is at present known as Samuel Street. The Synagogue celebrated its centenary in the year 1896 and then renamed Shaar-Ha-Rahamim. Overnight in hotel. Morning transfer to the Railway-station to board the connecting train to Pune. Upon arrival, transfer to the hotel. Later begin the city tour of Pune, now an important commercial city but once the capital of the Maratha and the Peshwa Empire. Overnight at hotel. Morning visit Ohel David Synagogue, established in 1867, built by the Sasoon family. This is the Judaist center of the city. 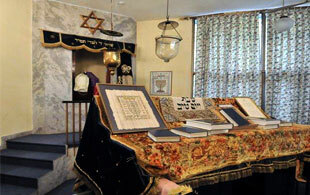 Also visit Succath Shelmo Synagogue established in 1921, the foundation stone of which was laid in 1919. Later transfer to the railway-station to board the connecting train to Ahmedabad Exp departing at 19:50 hrs. Overnight on board. Arrive at 0745 hrs. Upon arrival, transfer to the hotel and free time to explore the city on your own. Overnight at Hotel. Morning begin the Ahmedabad city tour, founded in 1411 by Ahmed Shah. By the year 1600 AD Ahmedabad was considered to be the finest city in India until Delhi came into existence. This is also the current capital of enterprising Gujarat. 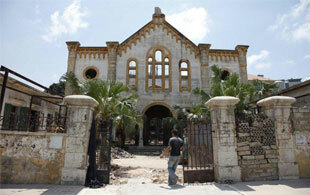 In the evening, visit the Magen Abraham Synagogue established in 1933 by Dr. Solomon. This is the only synagogue in Gujarat, keeping alive the Judaism tradition in the city. Overnight in Hotel. Early morning, transfer to the airport to connect flight for Delhi. Upon arrival, transfer to the hotel. Rest of the day free at leisure. Overnight in hotel. Morning leave for Delhi city tour. Afternoon visit the Judah Hyam Hall, established in 1956 next to Jewish cemetery. The hall caters to the small Jewish community in Delhi and also is a center for Jewish and interfaith studies. This is also the only active synagogue in Delhi. 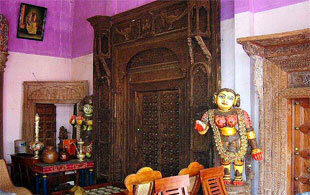 Later continue to Delhi city tour comprising its monumental and rich cultural heritage. Overnight in hotel. Morning check out Delhi and drive to Agra. Upon arrival, transfer to the hotel. Later visit Taj Mahal, one of the Seven Wonders of the World. It was constructed by Mughal Emperor Shah Jahan for his deceased Queen Mumtaz Mahal in 1632. Later proceed to Agra Fort, built by the great Emperor Akbar in 1565 A.D. Overnight in Hotel. Morning drive back to Delhi. Upon arrival, transfer to the airport to board connecting flight for Kolkata in the evening. Upon arrival, transfer to the hotel for overnight stay. Morning visit Neveh Shalome Synagogue established in 1825, the first synagogue in Kolkata and rebuilt in 1911. Also visit Magen David Synagogue, built by Mr. Elias David Joseph Esra in memory of his father, Mr. David Joseph Ezra who died in 1882. This is the largest synagogue in the east India. Overnight in hotel. Morning leave for Kolkata city tour. Visit the Eden Gardens, New Secretariat, High Court, Jain Temple, Chowringhee Museum, Mother Theresa's Convent, New Market, Victoria Memorial and the Race Course. Evening transfer to the Airport to board the connecting flight and arrive Chennai in late evening. Upon arrival, transfer to the hotel for overnight stay. Morning leave for Chennai city tour including a visit to the Fort St. George and St. Mary's Church built by the British East India Company in 1653. A Church within the Fort was consecrated in 1680. Visit also the High Court, the San Thome Cathedral and the Marina Beach. Evening transfer to railway station to board connecting train to Kochi. Overnight on board. Arrive Kochi, the zenith of Jewish India tour. Check in the hotel. Later visit Jew Town and the Pardesi Synagogue. This Synagogue was built by Samuel Castiel, David Belila, Ephrahim Sala and Joseph Levi. It stands on the grounds of the Maharaja of Cochin's residence. It is the first Synagogue which came into existence in the commonwealth and is one of the oldest in the world. Overnight in hotel. Morning begin Kochi city tour visiting the Cochin Harbour and Mattancherry Fishing Nets. Evening transfer to Airport to connect flight for onward destination.